Police have appealed for help in tracking down criminals involved in a series of incidents on farms in Northumberland. Four tractor batteries were stolen in a daytime raid on a farm at Charlton Mires, Alnwick, on Monday, April 1. At about 11.40am, a White Mercedes Sprinter entered the farm. Two men wearing orange vests have searched the farm and stole the batteries. Unfortunately, no vehicle registration details were obtained. If you have any information that might help the police with their inquiries, call 101 and quote reference 570 060419. An external oil tank was stolen between 11am on Saturday, March 16, and 7.30am on Sunday, April 7, from a farm at Sharpeton, west of Rothbury. Call 101, reference 285 070419, if you have any information. 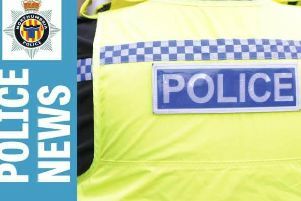 A silver Hyundai was stolen in south-east Northumberland - the vehicle is believed to have been used in poaching incidents and other road traffic offences. Inquiries are ongoing to identify the driver of the vehicle at the time of the theft. Suspected poachers rammed a vehicle into farm gates at Stannington, causing damage and gaining access to a field, between 11.30pm on Friday, April 5, and 7am on Saturday, April 6. If you have any information, call 101, reference 304 060419.